Ok, its late, I have to get some sleep soon, and to be honest...this game was so painstakingly boring that it doesn't even deserve a full recap post. Yea, so the Pens lost to the Islanders. Isles were in full blown trap mode and the Pens just weren't willing to compromise their gameplan to compensate. 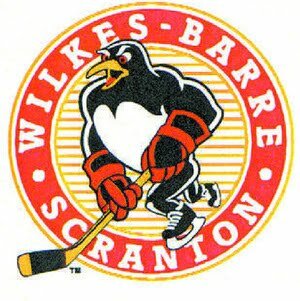 If we weren't already halfway to Heinz Field the Pens would have easily won this game by 3 or 4. But have to give credit where credit is due. 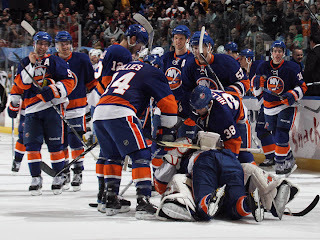 DiPietro was solid, Josh Bailey was in beast mode, and the trap worked (as it usually does against the Pens). Bailey had the goal for the Isles and Schremp, Nielsen, and Parenteau scored in the shootout. Fleury was good during the game but fell apart in the shootout. Buzz line was buzzing. Conner got the goal. Tyler Kennedy looked like he was having a good game, but then missed a WIDE OPEN (and I'm not kidding, DiPietro wasn't even in front of it) net to give the Pens a 2-1 lead late. Sid's streak is done at 25. I'm happy for him, it was really an incredible thing to watch, but in a strange way I'm kind of glad its over. Pens tried too many times to force plays to Sid that just weren't there. It was a distraction to the team's overall focus as a whole, and it looked at times like they weren't trying to score unless Sid was out there for the point. Let's face it, even the best has to eventually have an off night and the team just can't stand there and keep feeding him when there are clearly better options available. So it's time for 87 to shave the mustache and start fresh on tearing through the league starting on the NHL's biggest stage of the year. And...apparently the Islanders also won the cup tonight. WBS beat the stuffing out of Syracuse 5-0 in a final tune-up for their CEC showdown with Hershey tomorrow. Nick Johnson had a hat trick and Ryan Craig and Bryan Lerg also scored. Theiss in the crease with 23 saves and a shutout. I just hope he's not burnt out because he will have to go again tomorrow because Curry is still up with PIT. Apparently the word is that the Caps also sent Gordon and Aucoin back down to the Bears for this game. (and all they need to do to rejoin the big club is cross the river so I'm sure they won't miss any time) Shows how much Hershey wants this one. Bring it. Puck drops tomorrow at CEC around 7 after the RMU-RIT game.